The market is flooded with pour-over kits, but not a single one can come close to the Hario V60 Pour Over Kit. Affordable, and of great value, it will revolutionize coffee making for anyone and everyone. Equipped with a stylish black dripper and a solid glass server, theV60 doesn’t allow room for improvement in terms of specialty coffee. 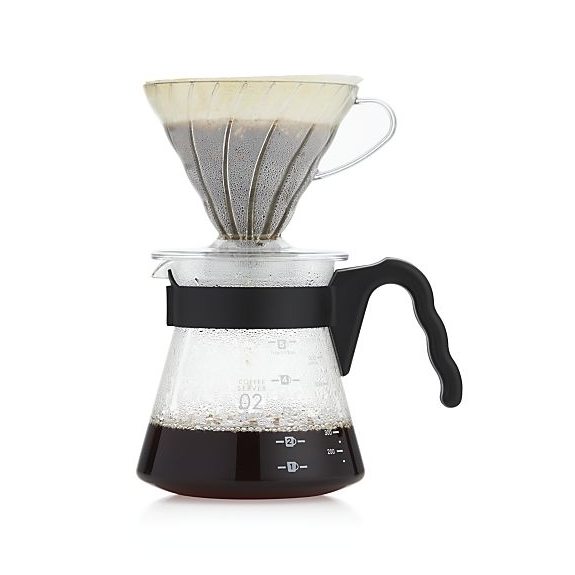 With the V60 pour-over set coffee frewing connoisseurs get maximum control over their brew. 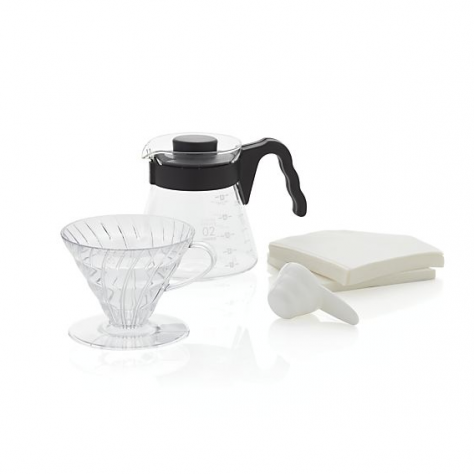 Hario V60 Pour Over Kit comes with a stylish coffee dripper in black and a glass coffee server. All the set components are made of the highest quality components. 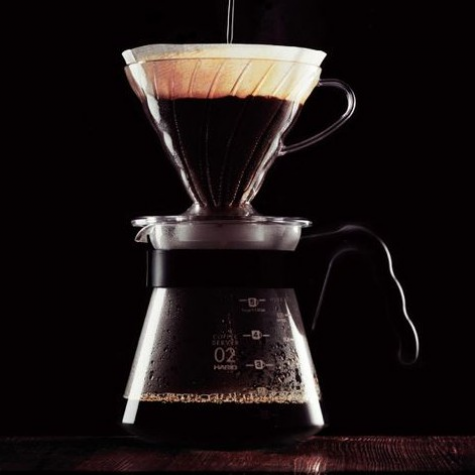 Not many pour over kits can approach the affordability of what this value-priced set offers. No matter if you are a beginner specialty coffee lover or you are an expert hario V60 Pour Over kit allows you to do it at the best price for you. The V60 kit offers a consistent and exceptional tasting coffee. Everything you need to prepare your coffee, control your time, temperature, unique design. The kit includes a glass jar, resin dripper, paper filters and dosing spoon. The exceptional design of this set makes a simple coffee brewing process and easy of execution, even for those coffee lovers who have just started. 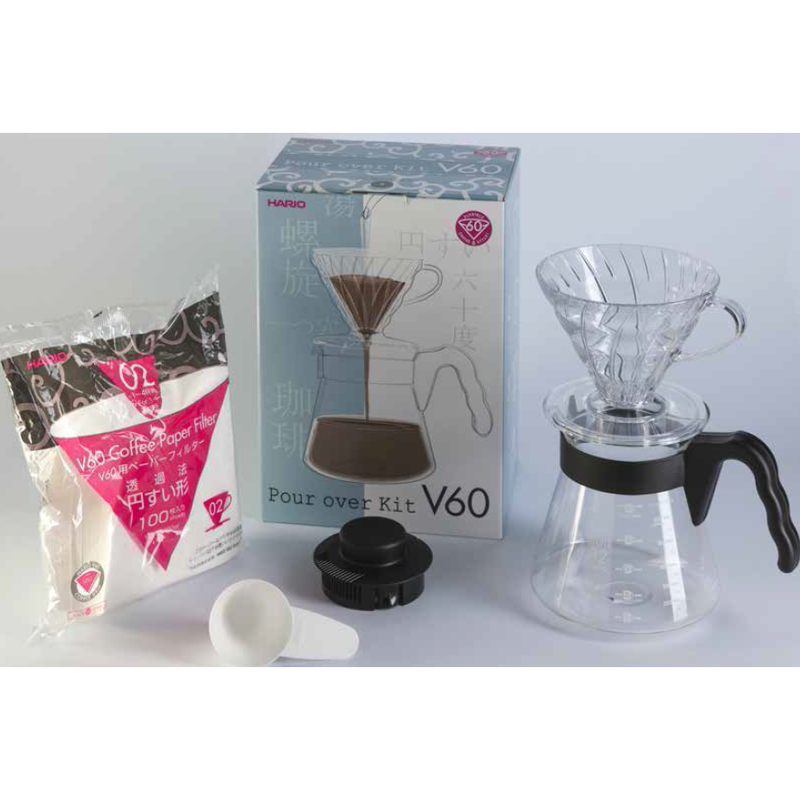 Hario V60 kit makes it completely unnecessary to buy an expensive coffee machine. You can manually prepare a delicious coffee from the comfort of your own home at an incredible price.